Oh, what do I get myself into? As you know, I sometimes find the most interesting stories to share with all of you and this one is no exception. I couldn’t make this one up even if I wanted to. 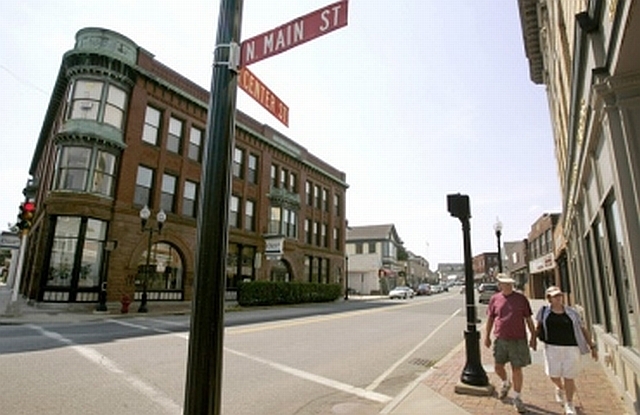 Middleborough, Massachusetts, a town 38 miles within the metropolis of Boston, is known more for the “Cranberry capital of the World” than a whistle blower of public profanity. Yet, swearing in public now carries a $20 fine after residents voted in favor of discouraging rowdy teenagers from ruining the downtown neighborhood with their potty mouths. It appears that Middleborough and other cities do have laws that essentially make cursing a crime, but it’s rarely enforced. Most officials feel it simply wouldn’t merit the time and expense to pursue a case through the court system. Ah, one might argue, this is not allowed by First Amendment rights. But apparently, state law does allow towns to enforce local laws that give police the power to arrest anyone who “addresses another person with profane or obscene language’’ in a public place. DuPhily said her support for the law, which passed by a vote of 183-50 at the meeting, has made her an object of ridicule in the media. “Talk radio is making hysterical fun of me. They’re calling me the granny-nanny,” she said. “This comes under the context of trying to legislate morality or good parenting,” another resident said to those who gathered at the annual town meeting. But the fine isn’t meant to censor casual or private conversation. Instead, its purpose is to crack down on loud profanity in downtown areas and public parks. The argument was made that perhaps the use of profanity has become so common place today that kids don’t know what it is. You know, words that fall under the category of swearing, cursing, foul speech, strong language, dirty words, cussing, adult language or as mentioned above, potty mouth. And that’s the point. What about the children? A friend shared an experience not too long ago that involved a family outing. They had taken their children to a public event in which someone seated in the same row used profane language, F-bombs almost every other word. Their daughter was scared to death. There were words uttered their children had never heard before. It got so bad they had to ask the guy two seats over that “unless he wanted to miss the remainder of the game he needed to drop the language.” He looked at them like they were crazy, but he did eventually stop. It seems the “F” word itself wasn’t even allowed into the Oxford English dictionary until the year 1972. Since then, Wikipedia says it has been argued that “the prolific usage of the word has de-vulgarized it.” Could that be possible? If so, has this diluted it’s meaning with its usage intended to offensively shock with vulgar intensity? That would mean there are an awful lot of naughty people out there! But I’m not pointing any fingers! It would appear in this case that no one is trying to infringe upon the personal rights of others. Although one Kansas radio talk show host suggests cleaning this whole mess up the old fashioned way—by using soap. So let this serve as fair warning. If you live in or around the Middleborough, Massachusetts area, please don’t drop the bomb of Profanity. Because if you do, they might just be writing you a ticket for $20 bucks! What say you? What are your thoughts about a fine for public profanity? As a parent, have any of you had concerns about this with your own children? And as an individual, do you see this as an infringement upon your rights? Or should a line be drawn between personal and public use of profane language? This entry was posted in Blog Post on July 11, 2012 by Karen.